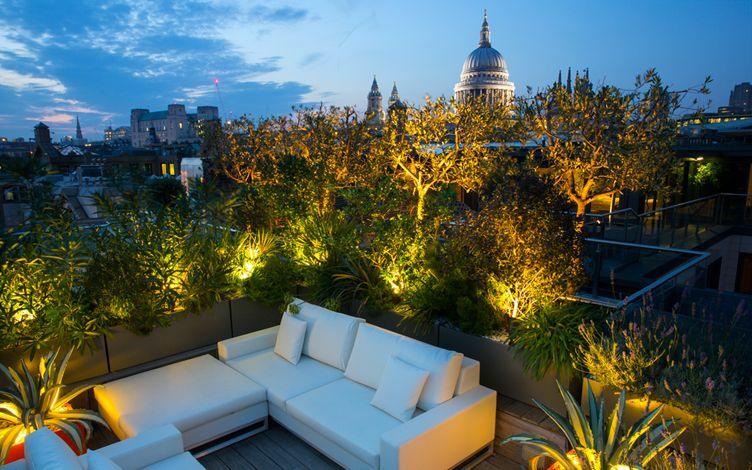 Our speciality in designing small London rooftops defines a synthesis of developing both small gardens and city roof terraces. 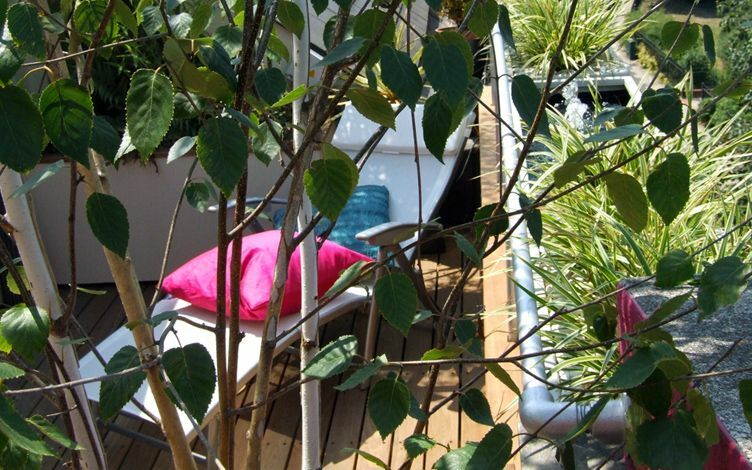 Even though many of our clients aren't green-fingered per se, they all love their rooftops, as small as they may be. 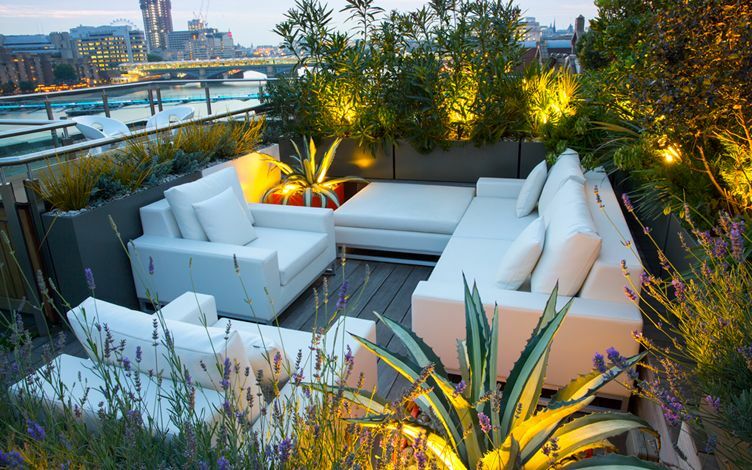 Forming only a tiny proportion of their homes, these unique and intimate outdoor spaces provide all-important, verdant sanctuaries, where we design roof terraces with minimal upkeep by utilising robust, architectural outlines, bound in consistent methodologies which key into London's iconic landmarks. London rises taller and denser, exceeding 300-metre height by this cinematic, Southwark city roof terrace, where a rooftop way of life is part and parcel of our emergent urban lifestyle. Yet, substantially more should be accomplished in greening up public spaces, further achieved by encouraging and sustaining diverse wildlife in various ownerships. I observe and learn from my clients; I've seen the tiniest London balconies filled with seed-grown Lemon trees, water trickling to refresh visiting songbirds and ducklings born on our Vauxhall roof garden in the most unexpected of locations, at St George Wharf. 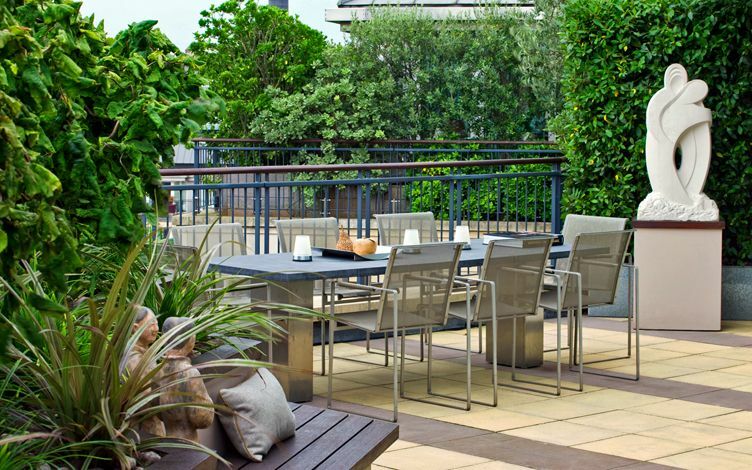 There's no better feeling than to see the rooftop landscapes we've created being enjoyed frequently by our clients. 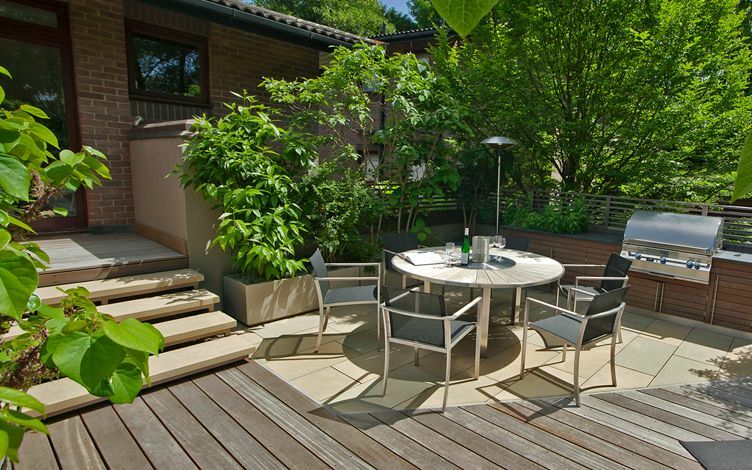 As garden designers, we anticipate ambience, extend spatial depth and infuse usability as comprehensively as possible. Still, nothing's more endearing than the character fashioned by roof terrace owners, carved out by countless moments sitting by their roofscapes, and the intimate stories which unfold. 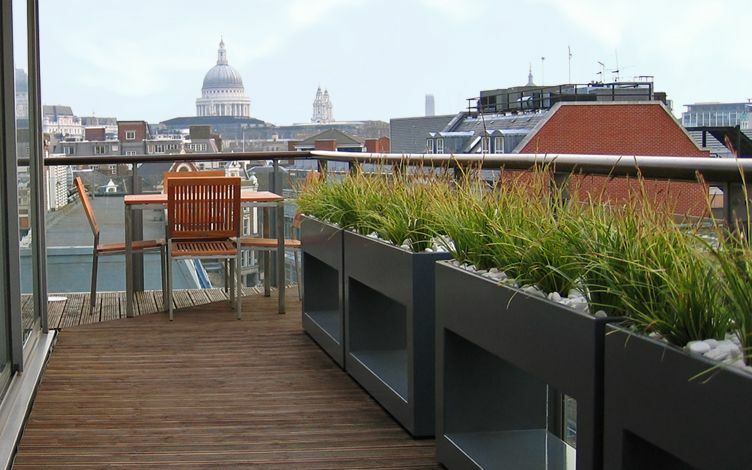 My own rooftop terrace experience is similar, and firsthand familiarity helps to establish a congruent design process, recognise achievements, as well as enhance ongoing project developments progressively within a lifelong journey across London's rooftops. 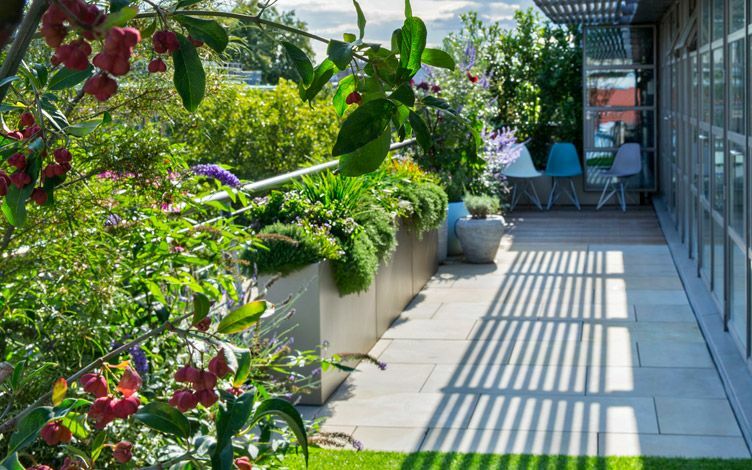 We create hundreds of terraces and roof garden designs all over London, where in a vigorous property market and its metropolitan nature many clients relocate or simply move on. From time to time, we get to observe previous projects and revisit old friends to see our trees join canopies, with Olives fruiting in a Mediterranean rooftop, Palm trunks mellowing, and the idiosyncrasies of a new owner in a previously designed rooftop terrace. 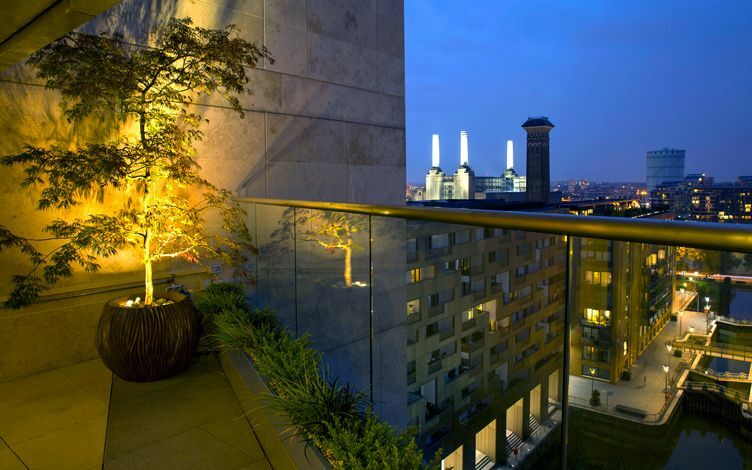 One thing's for sure – we design and build terraces for longevity, with energising tree silhouettes and seasonal buoyancy, to define the renewal of every contemporary London urban terrace we construct for our discerning clientele.